We are offering our clients a wide show of Flame Arrestor for welding Equipment. Made utilizing amazing material, these arresters are in coupled with global quality principles. 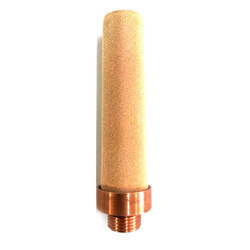 Accessible in a range of details, these arresters are widely relevant in welding and electrical supplies.hese Cartridge Filters are cleanable and reusable resulting in reduced operation cost.Being a quality centric firm we are dedicatedly engaged in offering our clients Sinter Bronze Flame Arrestor For Welding Equipments with utmost quality. Our offered product is manufactured using high quality raw material and advanced technology in adherence with set industry norms.. This range is designed specially with staggered dimpling on filtering surface which allows unrestricted air flow along with pulse cleaning at the ends of the pleats. Moreover, we offer this product to our customers at affordable prices. Looking for Flame Arrestor for Electrical Equipment ?